If you haven’t heard of The Hobbs Farm before, we strongly suggest that you stop what you’re doing (yes, really!) and take a moment to check out the Instagram account (@thehobbsfarm). 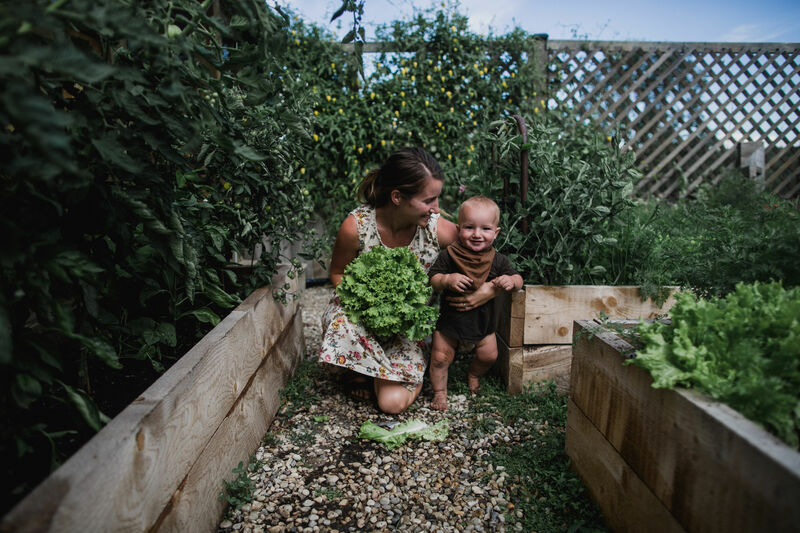 Candid shots of farm life are featured alongside honest moments of motherhood, creating a delightfully raw story of this family of 7. Occasionally a shot of Kiwi the family donkey will appear, too! Let's just say that @thehobbsfarm feed is enough to make us want to escape the concrete jungle and head to the country for a while. 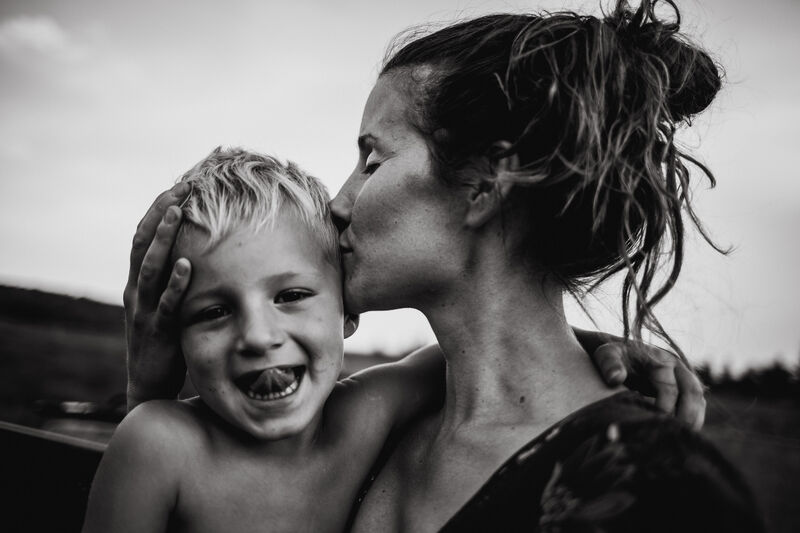 We caught up with Jenna and learned her thoughts on “slow living”, what it’s really like to raise 5 children and 200+ animals on a farm, and how she began her passion project, A Mother’s Beauty. Read on to learn more! 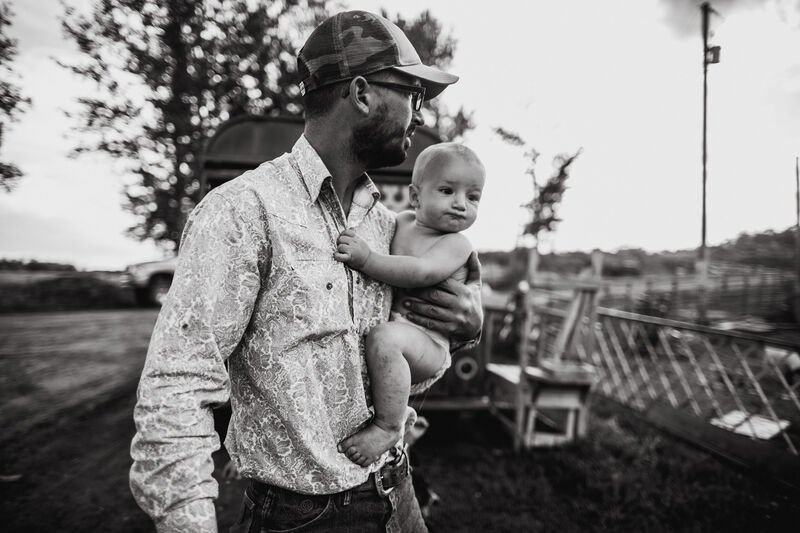 What’s the story behind your life on the farm - is it your family’s farm? How did you decide (if you even had to!) to raise your children there? My husband grew up on a PMU farm in Manitoba, Canada. I did not. I was what he calls a "townie" my whole life. Someone who grew up in town. When we first started our family, we lived in town because that is what we could afford at the time. We knew we wanted to make the move out to a farm eventually and did before the birth of our second child. We now live on 29 acres on the Prairies of Alberta, Canada with horses, dogs, hens, 200+ goats, the odd pig and a mammoth donkey named Kiwi. 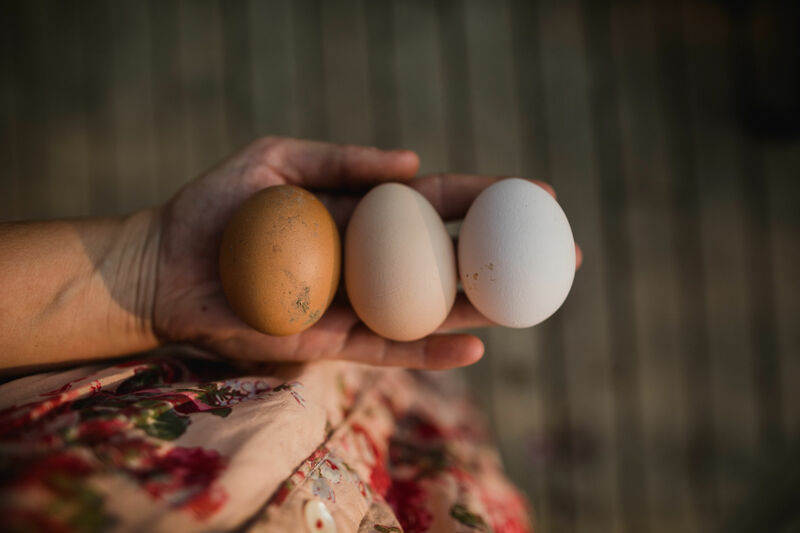 Having not grown up on a farm, I feel blessed to experience the childhood joys of being barefoot all day, bathing outside, bottle feeding baby animals and collecting fresh eggs daily from the coop with my kids. 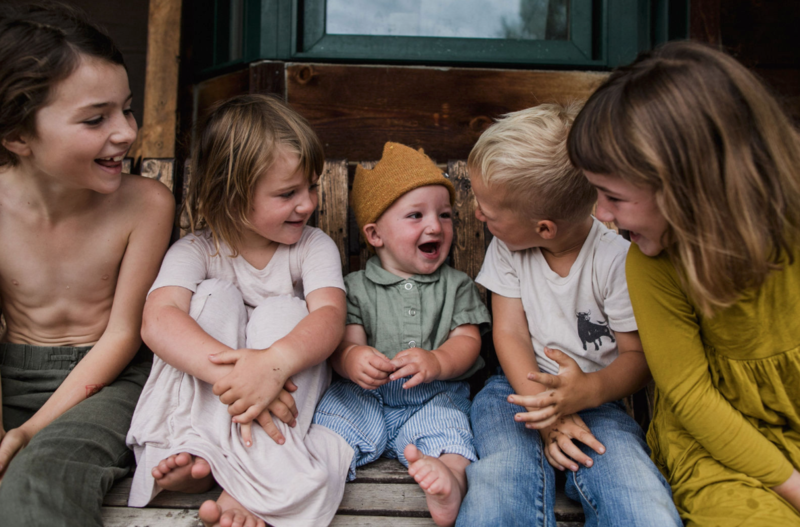 The “slow living” movement has permeated households all over the world - in cities, in the country - families are embracing the idea that less is so much more (especially in this digital age). What are your thoughts on this movement? Do you have any words of wisdom for parents who are seeking a slower life, regardless of whether they live in the country or in the city? I think the "slow living' movement is essentially going back to how we lived years ago. I think this can go hand in hand with farm life where things tend to be a little more slow and simple. We choose bale jumping over television and chores over a trip to the local swimming pool. I don't think it's as conscious as one may think. It's just where we live and what we do. With every child that I had, I tried to simplify our life more and more, for my own sanity. This lead to us living a slower lifestyle. I would say to parents trying to adapt this lifestyle, less clothes, less toys, less screen time. More books, more family time, more memories. Tell us more about the five children who call you mom. Halle is nine and she sings like a bird, and dances instead of walks. She is the mamma of the group and has lots of responsibility in caring for the others. Hannah is almost six and outfit of choice daily is a princess dress. However she spends her days getting as dirty as possible and her favorite activity is wrestling. Thea is four and is the boss. We call her Skeeter. She is wise beyond her years and can usually be found picking up after the other kids. Beau is also four and we call him a lover. He is the most charming, loving, clown that will melt your heart when you meet him. Monty is the baby and doesn't really act like one at 18 months. He hates to nap and does absolutely everything the other kids do. 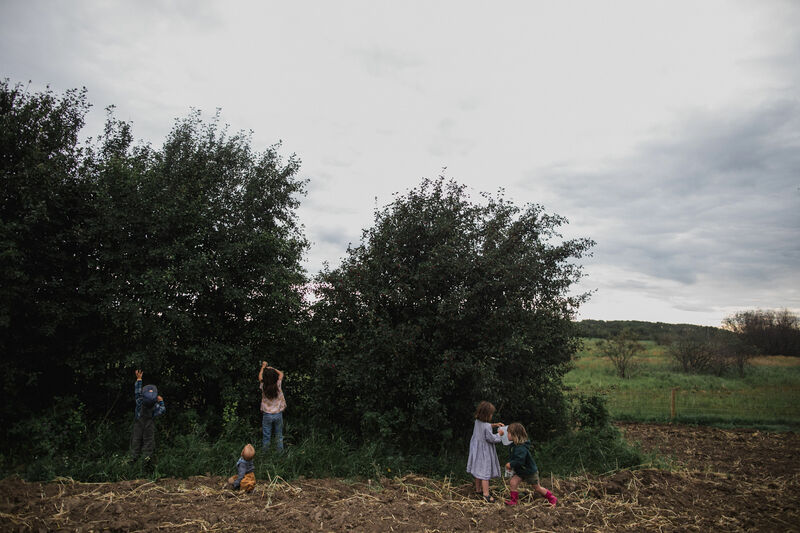 We imagine that there is no such thing as a typical day when you live on a farm (which is ironically similar to how there is no such thing as a typical day living in NYC). So, what’s your favorite season and what’s an example of your ideal day during that season? Oh that might be the hardest question as I love three of the seasons for different reasons, but you can definitely count winter out. We have very, very cold winters. If I HAD to choose a favorite I might say spring. There is lots of work that gets done in the spring as the snow melts and the ground thaws but there is something about planting seeds and signs of new life after a long winter that is so encouraging. 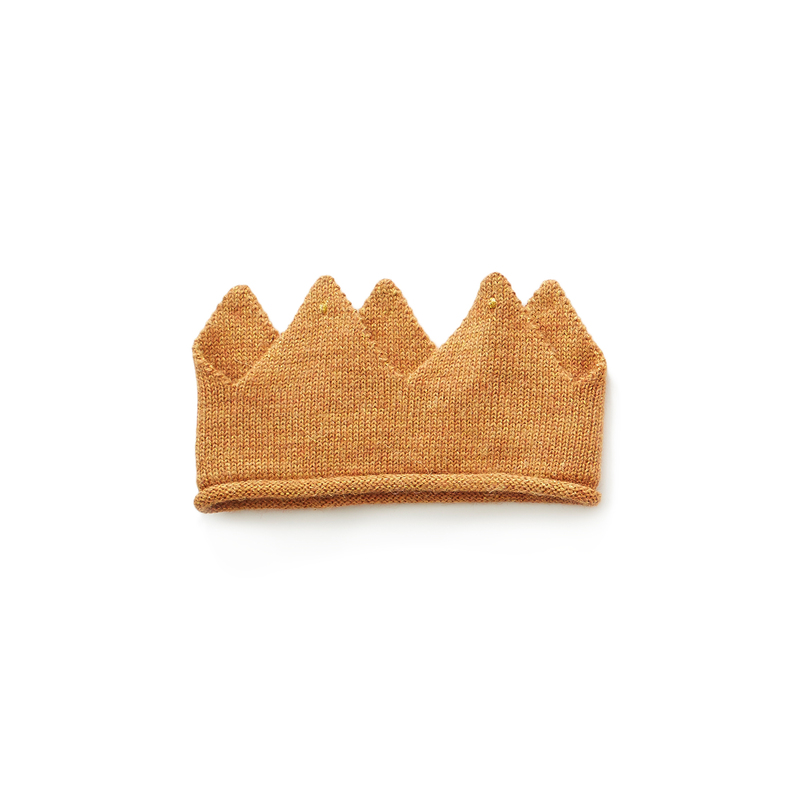 Our days start with our usual morning routine of breakfast, getting dressed, hair and teeth brushed. We encourage independence and although they need reminding, they get as much of this done on their own. I am in charge of all the inside chores, the garden and hens, and my husband Travis takes care of all the outside chores, which is mostly tending to all the animals. He also works a job off the farm during the week. We spend as much time outside as we can, because it's less mess for me in the house and tires them all out for bed time. My favorite time of day and what I live for, is when we do the evening chores. There is something about that golden, evening light and us all together after a days work that words can not describe. We all pile into the farm truck, which was my truck when I had my first baby, and loading bales, feeding animals, checking the property. I am often guilty of taking photos instead of helping. 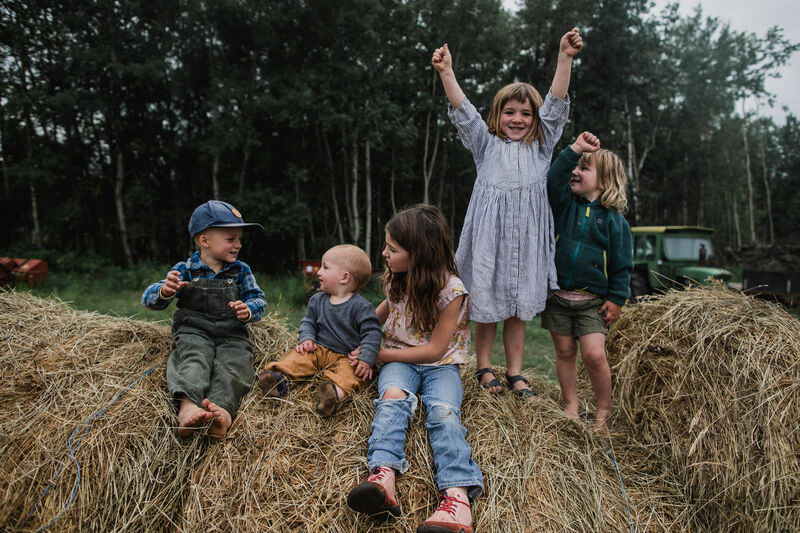 What are your children’s favorite spots to hide on the farm? And your own? The kids have a secret hide out where they like to go in the woods. It's essentially a lean-to that they escape to frequently and play all sorts of imaginative games. However, there is often a daily walk to the bale stack which is endless fun, me included! Although not an exciting hide out, I often sneak in the laundry room to quietly fold clothes. It usually takes about 5-10 minutes before I am found! For those who are unfamiliar with it, can you tell us more about your personal passion project, A Mother’s Beauty, and how it began? We started A Mother's Beauty six years ago now! I say we, because it is me and my sister-in-law, and business and photography partner, Aimee Hobbs. Every summer we photograph a brave group of women who are willing to show us all the beautiful bits of postpartum beauty, wearing at the most, their underwear. We started this project because we were seeing the exact opposite in society. Messages about striving to get "your pre-baby body back" and shaming or hiding what our bodies as mother's actually look like. We wanted to celebrate this beauty and to raise mothers up, encouraging them to see themselves as beautiful, as enough. We have photographed women aged 18-60 of all different walks of life, all of them absolutely beautiful, just as they are. We hope to continue this project for the years to come, photographing as many mothers as we can. What’s the most valuable lesson you hope to teach your children? To find beauty in the ordinary, to know that they can achieve anything with hard work, and to stick together.